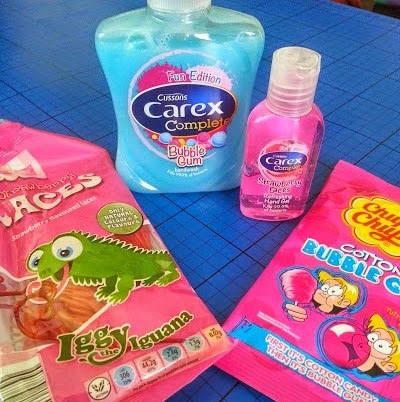 and this selection of sweet shop goodies.....with the new Cusson's Carex releases - Bubble Gum scent hand wash, and Strawberry Laces scent hand gel. 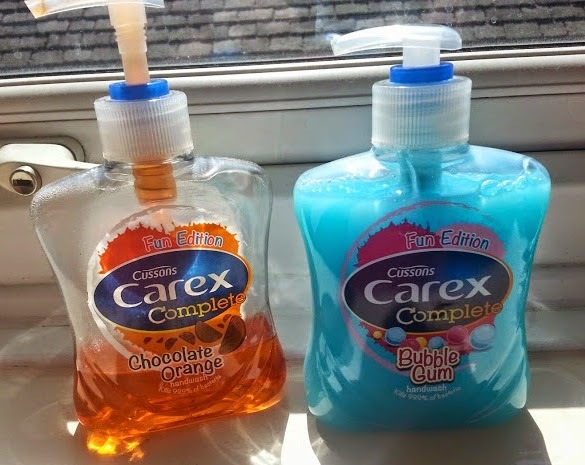 We actually use these Cussons Carex Complete 'Fun Edition' handwashes and hand gel already, and have done for ages. They're excellent. I'm more than happy to endorse them because of several reasons. 2. They smell absolutely amazing. My bathroom smells delicious, my hands smell delicious. 3. My kids love them and even the 4 year old offers to wash his hands because he loves the smell. 4. They kill 99.9% of bacteria really quickly. 5. The hand gel is the perfect size for a handbag, pocket or glovebox, and it's really tricky to squeeze loads out - preventing waste and spillage. 6. My kids don't waste them, because they know I've got boring smelling handwash in the cupboard, and if we run out of the sweet shop scents handwash before next big shopping day, I'll get out the boring one and won't exchange it until it's finished! 7. The hand gel lasts ages, and the hand washes are very often on offer at £1 each - making them very competitively priced! 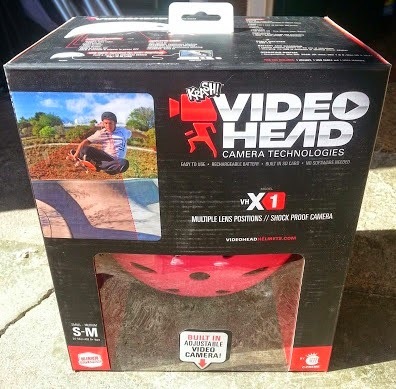 I'm sure that the hand gel and helmet cam will go hand in hand this Summer - we're definitely going to get best footage outdoors! I love Carex...mainly cause my Stepdad used to look after them in his job so we always had carex bursting out our bathroom cabinet. I love the strawberry laces soap. Smells so yum! love the helmet! look so fun! i had not used carex and this bubble gum flavour smell nice.